Looking to sell an amphibious digger or excavator? Do you have an amphibious digger or excavator for Sale? Do you have an amphibious digger or excavator for sale? Are you looking to sell your amphibious digger and get instant cash? Amphibious excavators are named after the creatures of the same name, amphibians, for their ability to work well both in and out of the water. These highly adaptable machines make for versatile use across a number of projects. This type of digger has the ability to perform dredging tasks while managing to float in shallow water. 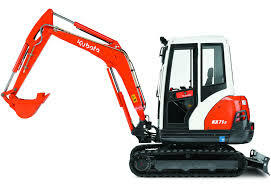 Its unique build means that it is ideal for any swampland operations, clearing silted trenches, removing clay or basically any low water area operations. This piece of machinery can operate on or in water thanks to the special sealed pontoons, which allow the crawler to float. It also has the ability to move using a dual body buoyancy tank in boat form. The upper part of the machine is essentially a modified excavator, which can go above and beyond the norm thanks to 360 full rotations plus a hydraulic operation system. As well as the ability to float, it can also perform well standing in shallow water or when based on land. So if you’re looking to sell your amphibious digger or have an amphibious excavator for sale then be sure to get in touch with us as we will pay cash for your machinery and even come to collect. 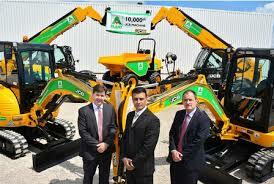 Simply give us the details of your machinery and we’ll get back in touch with a price, it’s as easy as that. Your machinery is also only collected once you have received the cash. Simply fill in the Request a Valuation form now and we’ll be straight in touch to value your amphibious digger or excavator!